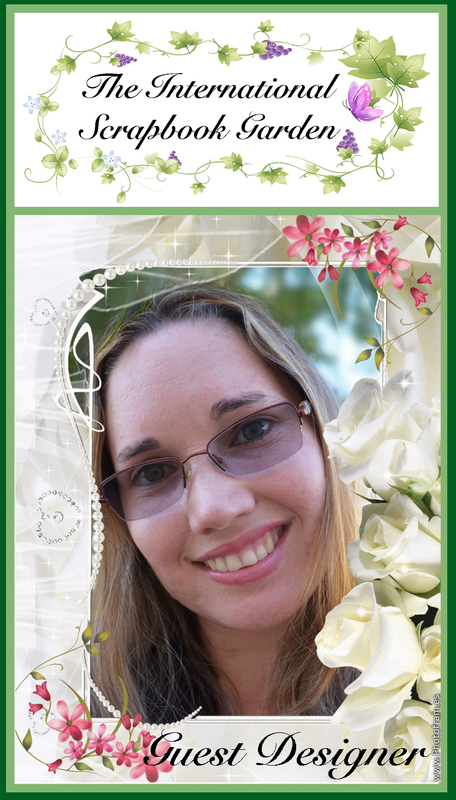 Hi everyone, my name is Debbie Burns and I'm excited to be designing for The International Scrapbook Garden. I've been scrapbooking for 18 years. I love to create shabby chic layouts incorporated mixed media. I live in Maryland and am a single mom to two grown children and one precious dog. By day I'm an Assistant Project Manager for a general contracting company specializing in commercial interior work. It's a fast paced job and many long hours. To unwind I love to scrapbook and work outside in my flower gardens. Hi my name is Amarilys but everyone calls me Amy. I live in Orlando, Fl and I'm married to my husband of 8 years and we have a 3 year old son and a 6 month old baby girl together. I love to be outdoors, spend time playing with my kids and of course, scrapbooking! I started scrapbooking back in 2003 when I graduated from High School. My designs and techniques have changed a lot since then! I hope I can inspire you with my designs! I am a Swedish 50 yr old mom, granny and sister that mostly listens to the name Noilone, at least in the cyber world. I started with scrapbooking in 2003 and since then I've been stuck. There are so many things I want to try out and learn to do. I love dies and collect them. My kids say I have too many dies already….Too many?? You cant have too many dies right? I love to make mixed media and go crazy with all those colors and mediums, but I also love to make cards and Lo´s and 3D Projects. I spend a lot of time on the internet and looking at creative blogs to find inspiration. It is an honor for me to be a part of The International Scrapbook Garden Team and I hope I will share some inspiration with you all out there. My name is Marianne and I am 59. I have three grown up sons, one stepdaughter, and 6 grandchildren. I live in Sweden with my husband and our dog named Kasper. I have always loved to create with my hands. I have had a lot of hobbies through the years. In 2010 I came in contact with Scrapbooking and I was stuck. I just loved it! All of my free time I spend in my scrap room. I like to create mixed media, layouts, boxes, albums and cards. I find my inspiration on YouTube and blogs. I am so excited to be a part of The International Scrapbook Garden! I hope I will share some inspiration with you all out there. Hope too see you around.